My husband says I have to much makeup, and off course I don't think I do. Sure, I have more then a makeup bag full of makeup, but I love trying new things. I really got into makeup because my skin is so finicky. I am very oily, I break out and my eye lids are very sensitive. I have to find things that work with my skin. And although, I have found some things I really like, I feel that there is a whole world full of makeup out there and I want to try and find the best I can. 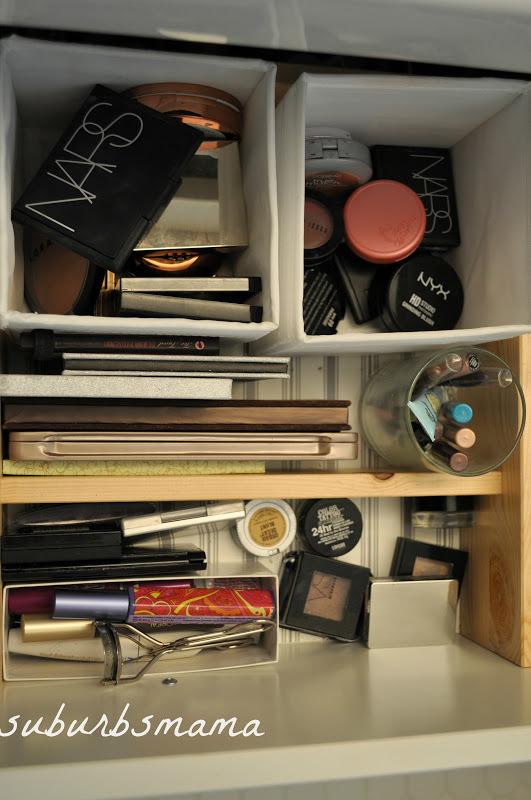 I keep my makeup in my bathroom vanity. 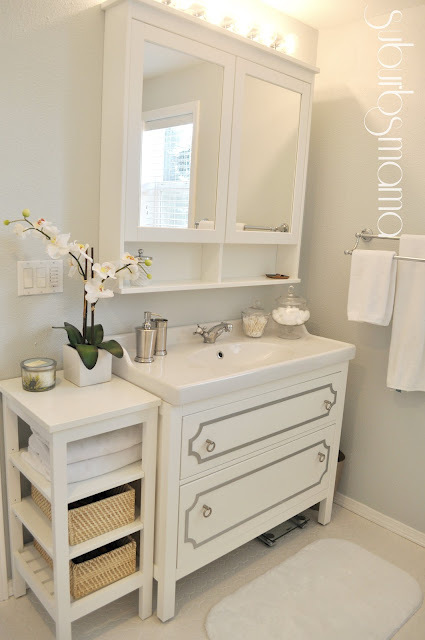 To see my bathroom, go here. I keep my makeup brushes in my medicine cabinet, the shelves are adjustable, so I can fit them nicely in here. I keep them in these cheap little glass cups from IKEA. Well thats it. 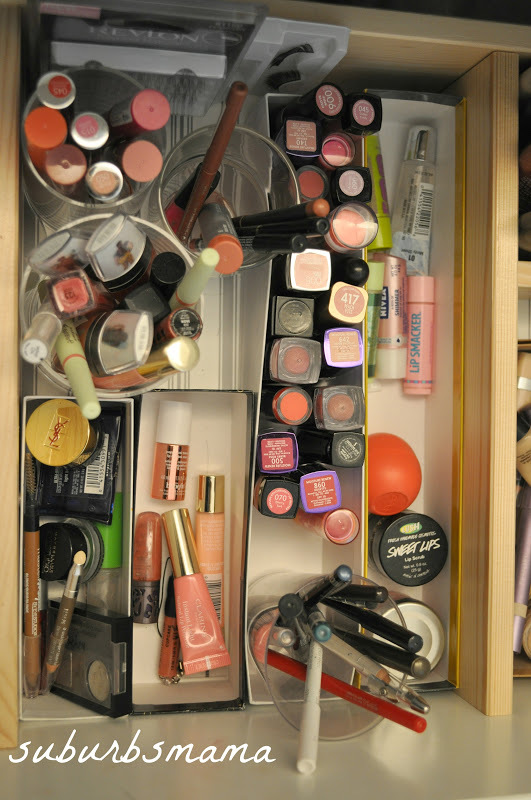 Please tell me I am not the only mama out there with a drawer full of makeup. I am so bad at storing my make-up! These are great ideas. I thought I had a lot of makeup. And I sell the stuff(lol). You have a lot! May I just say that I am obsessed with your new bathroom. It looks amazing!!!!!!!! I love it. Good job! 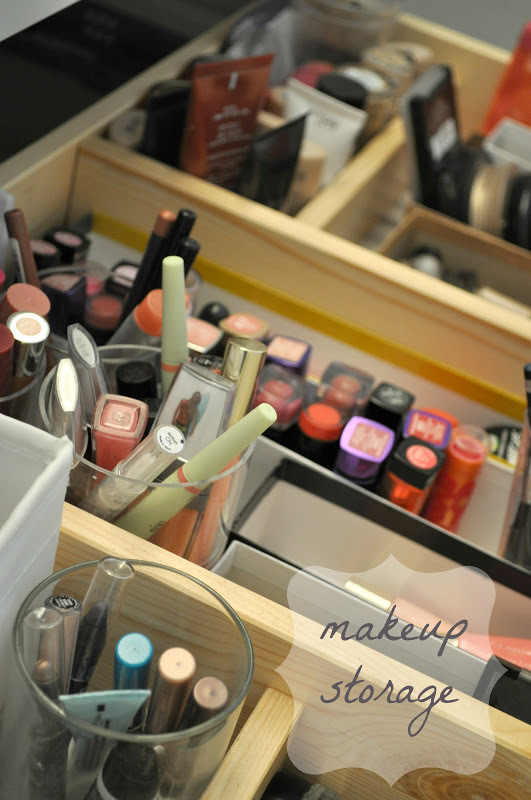 I love your makeup storage! 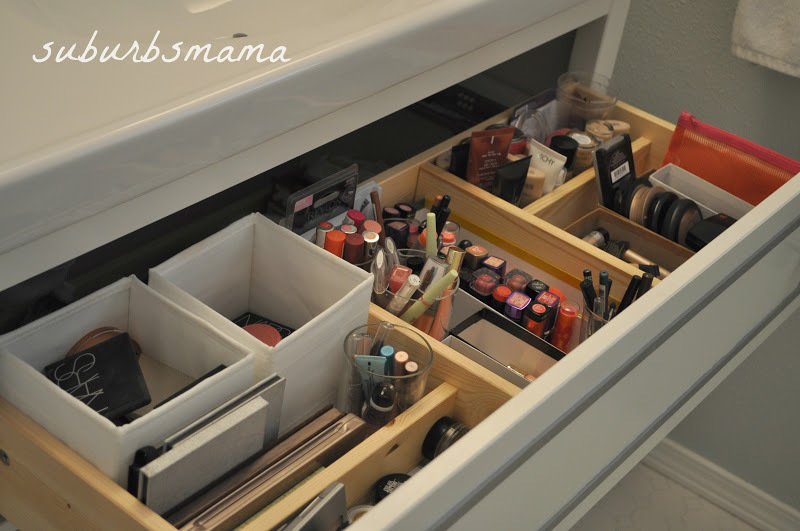 Such a great storage idea! 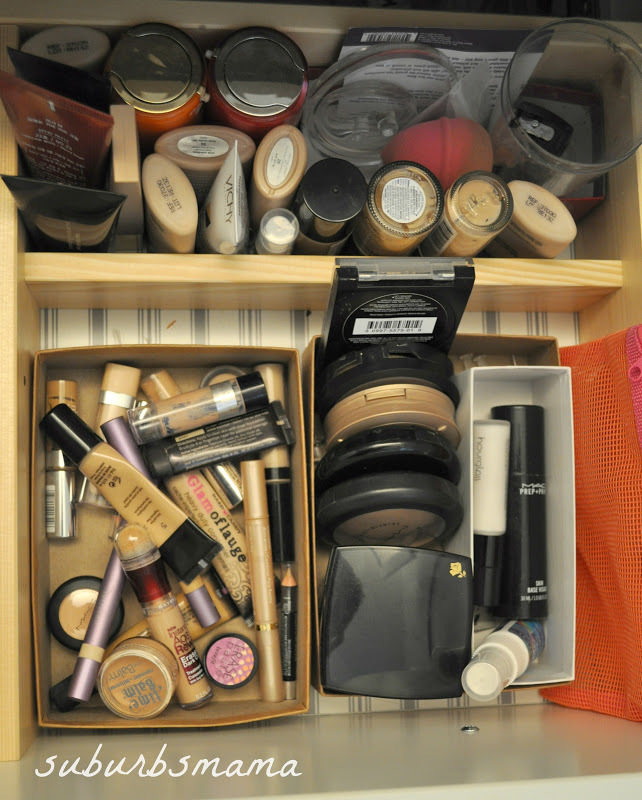 I like how you've utilized all kinds of containers to sort your makeup. I like having mine all separate, too. I love how some women have all of their necessities in a bag, but rummaging through all of that each day would drive me crazy. 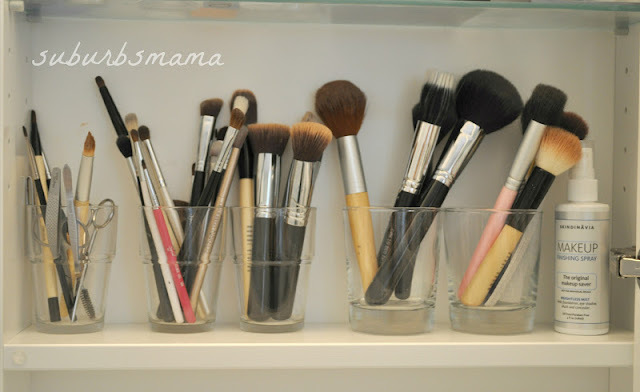 love your bathroom & great organization skills on makeup!! !